Flying Legends is the greatest Warbird event in Europe. 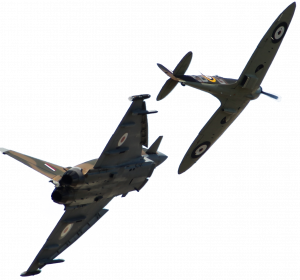 A world class aerial spectacular organized by The Fighter Collection in conjunction with Imperial War Museum at Duxford. The 1940s atmosphere draws you in and the incredible flying displays featuring unique aircraft will have you enthralled throughout, culminating in the mass fly past when all the WW11 aircraft take to the air in the final Balbo. 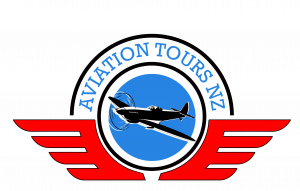 What can you expect from a day at Flying Legends on tour with us? We make our way to the Gold Pass enclosure which will be our base for the day. There is time to walk through the same hangars and buildings as those who served at RAF Duxford. These house the hundreds of aircraft and objects on display covering a century of flying history. Exhibits include Historic Duxford, Land Warfare, 1940 Ops Room, Conservation in Action, Air and Sea, Battle of Britain, American Air Museum and more. Outside, there is plenty to entertain. Hundreds of trade stands, model aircraft displays, sit in a Spitfire, singing by The Manhattan Dolls, the Home Front Bus, Vintage Village, and static aircraft to walk through. The flight line is open with our private access for getting up close and personal to the aircraft, fantastic photo opportunities with flight line staff all in period clothing. The lineup of Spitfires & Hurricanes is breathtaking. Lunch can be pre-purchased in the Marquee or chosen from the many food vendors in the general public area. Then usually at around 1.30-2pm, the amazing show begins. Don’t worry if you haven’t had time to see it all as we always have a spare day on either Friday or Monday for an extra visit. Our Gold Pass area has seating and private toilets, and we take our seats for the afternoon of flying. At some point we hope to get a visit from our very own Kiwi Warbird pilot Keith Skilling who is always happy to come and say hi to our group. To close the show, the Warbirds take to the air again for the final Balbo. Once safely down, we make our way back to the coach for the short drive back to the hotel, and spend a lovely evening sharing our highlights from the day over dinner and a drink. A typical show will include some of the following – Hawker Sea Fury, Grumman Bearcat & Wildcat, Curtiss-Wright Hawk, P40F & P40C, Goodyear Corsair, Supermarine Spitfires, P38 Lightning, B25J Mitchell, Bristol Blenheim, Boeing B17G, Hispano HA-112 MIL Buchons, P51B Mustang & P51D, Hawker Hurricanes, Douglas DC3, Republic P47D Thunderbolt, F35A Lightning, Flying Bulls Douglas DC6B, Avro Lancaster, Bucker Jungmann. This is one of the highlights of our tours and the UK airshow calendar. Not to be missed! Hope you can join us and share the excitement.